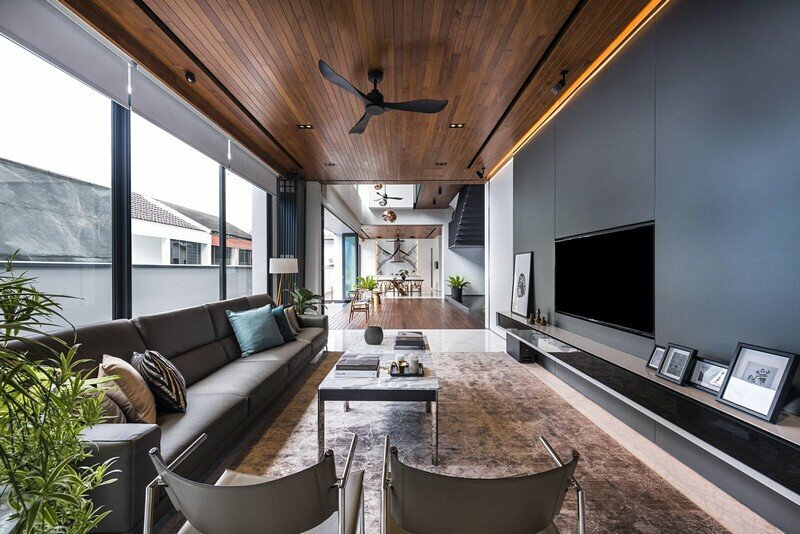 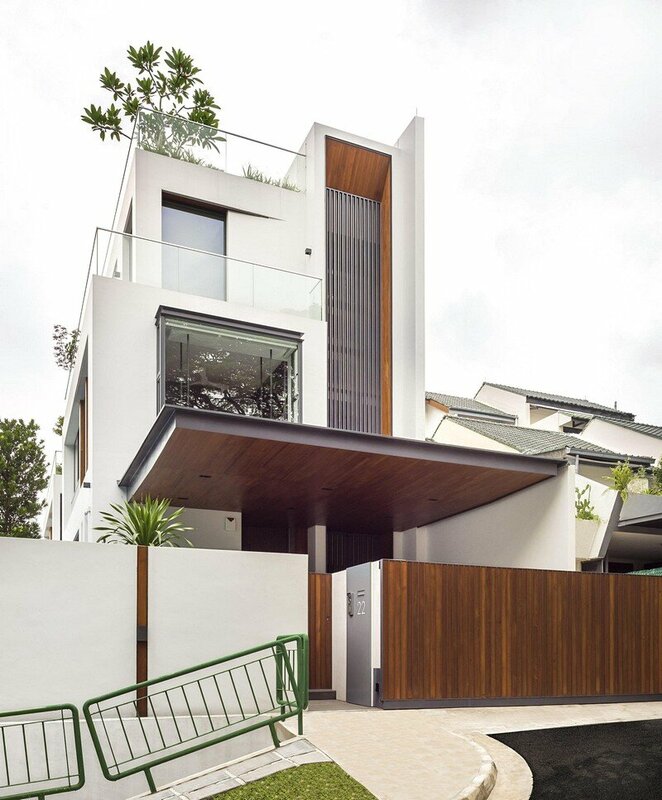 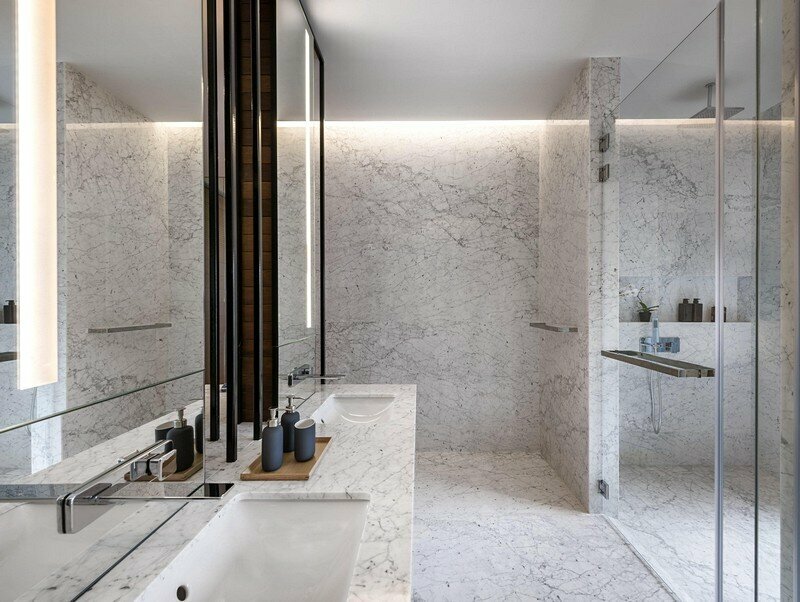 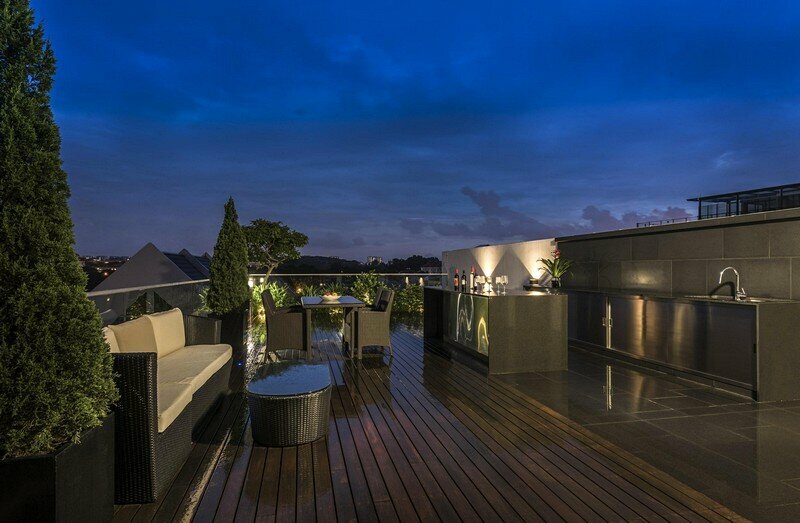 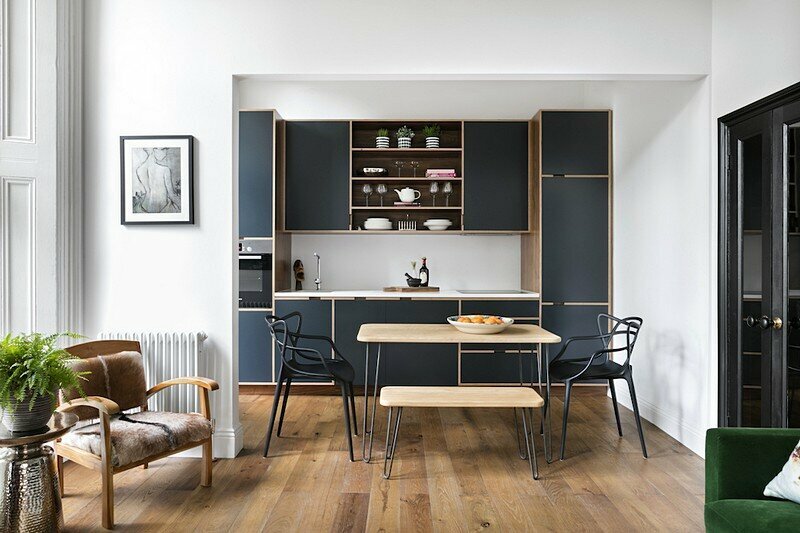 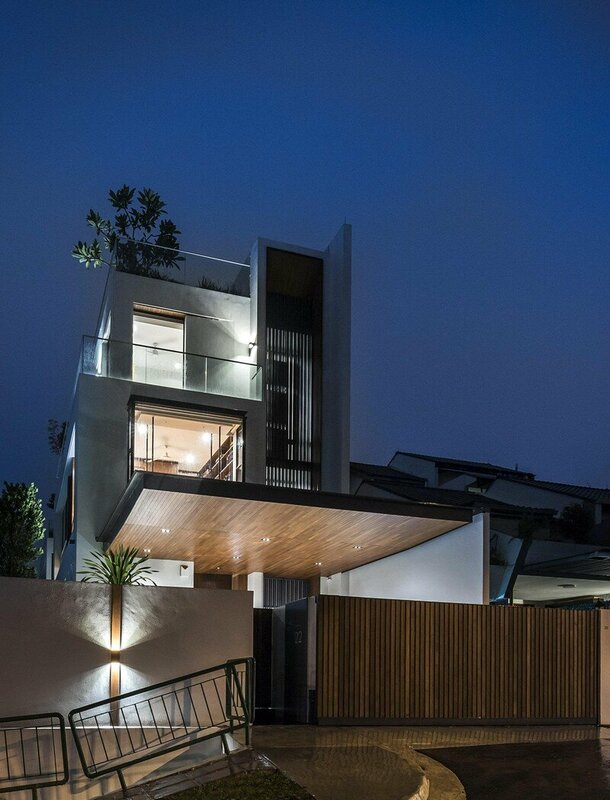 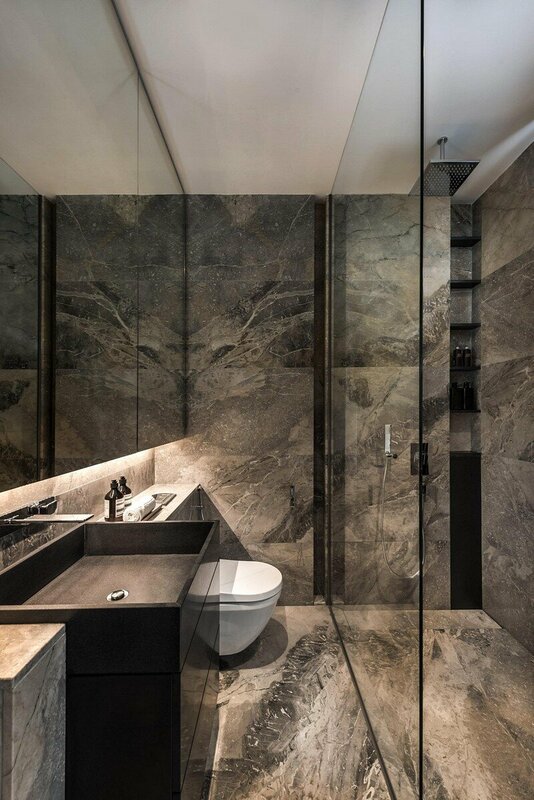 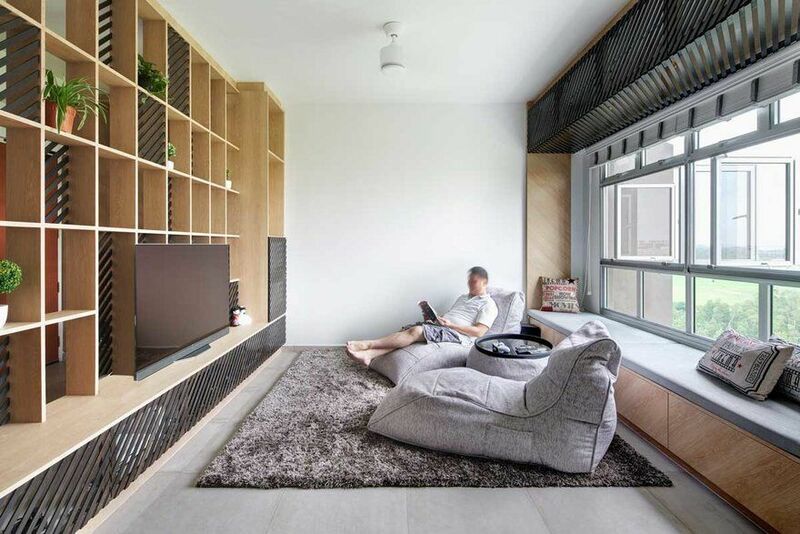 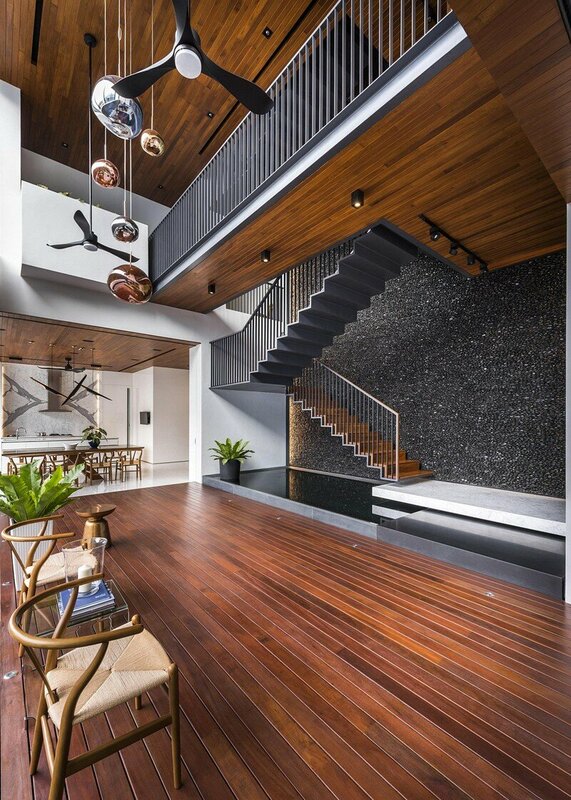 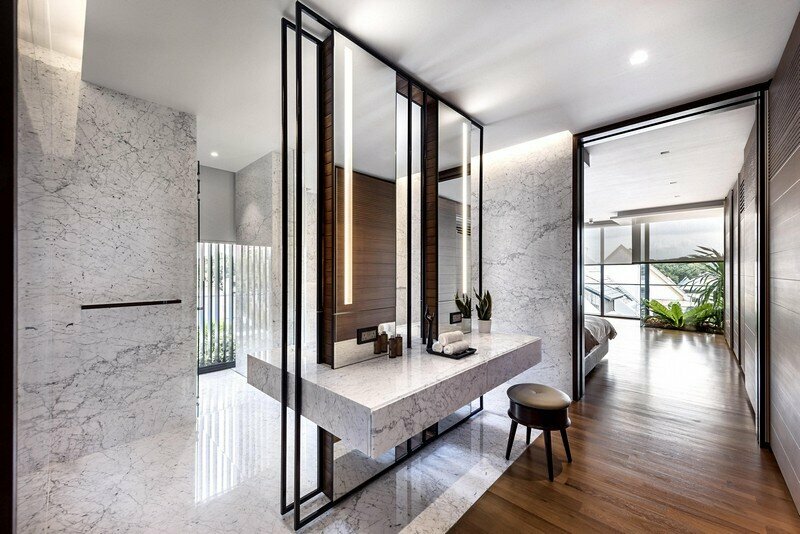 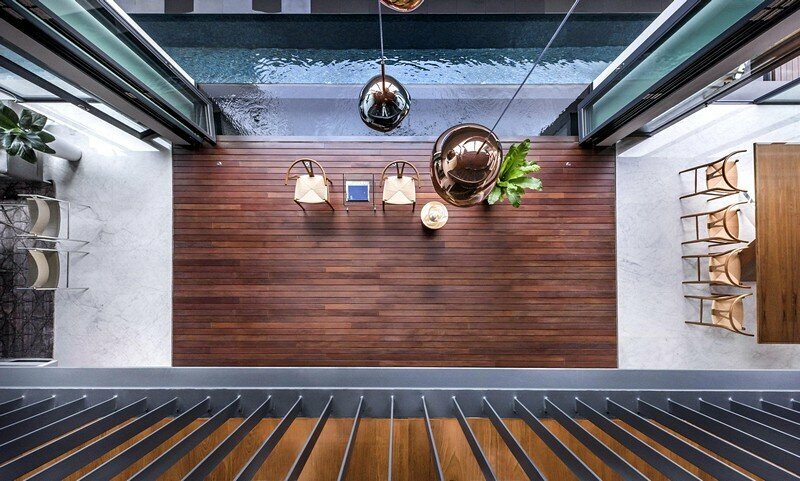 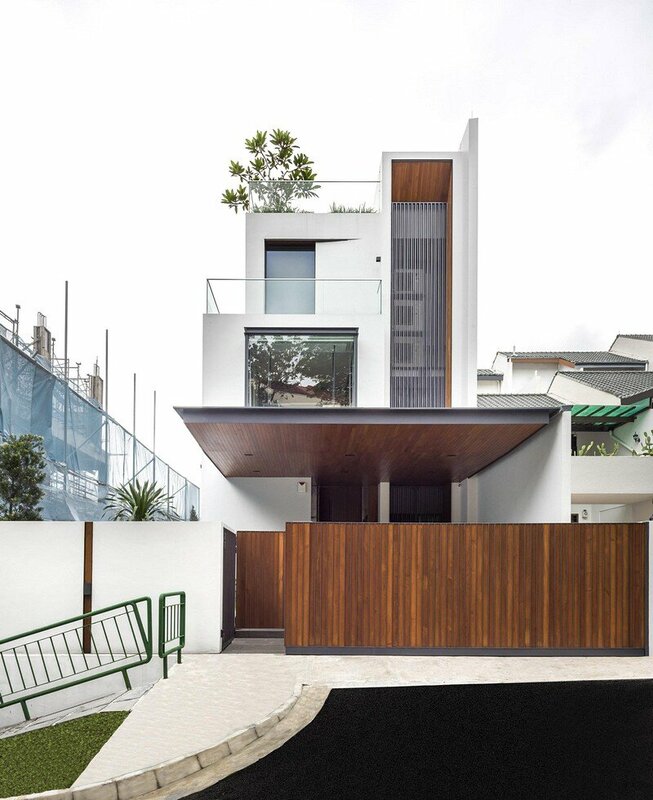 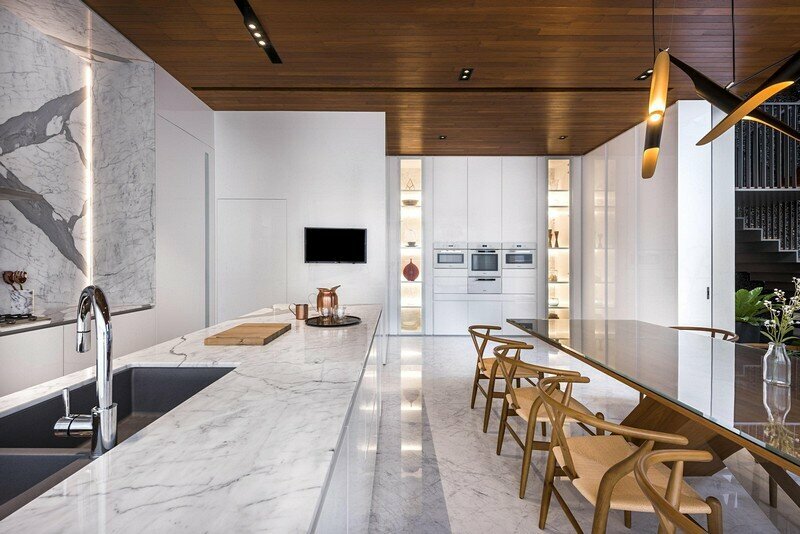 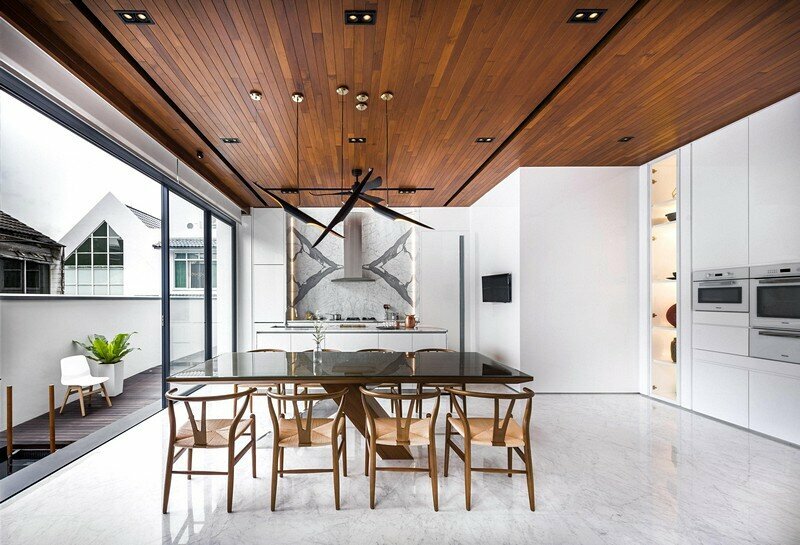 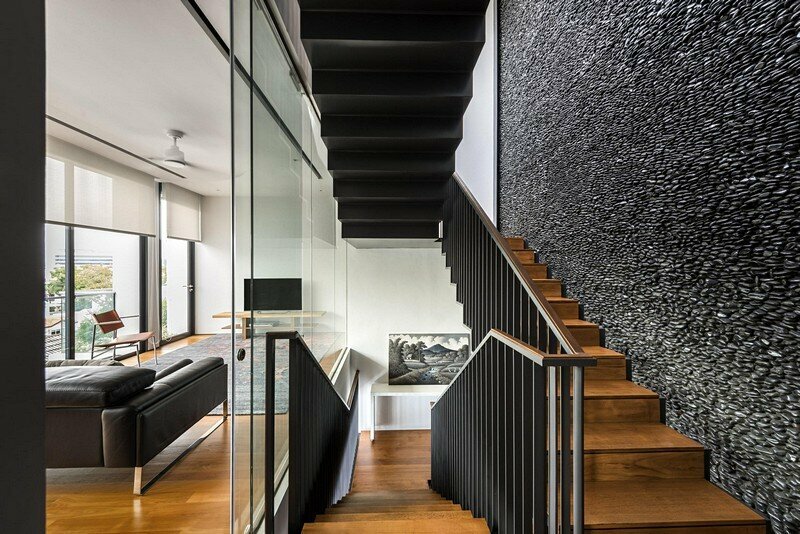 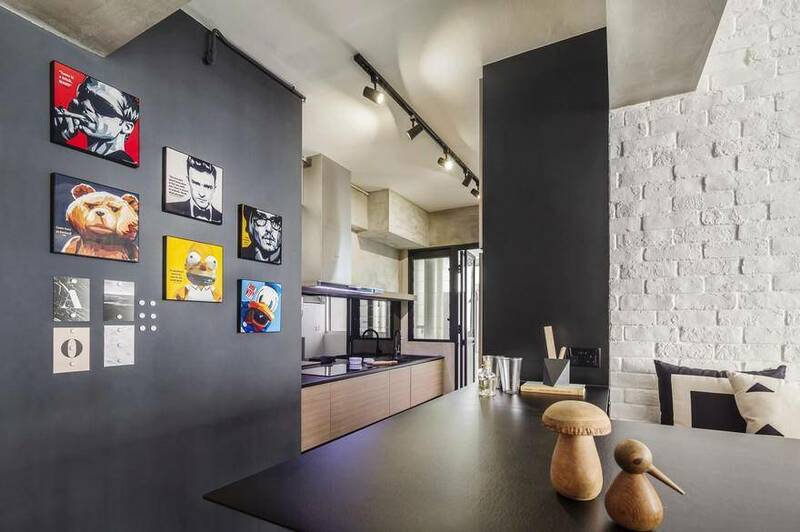 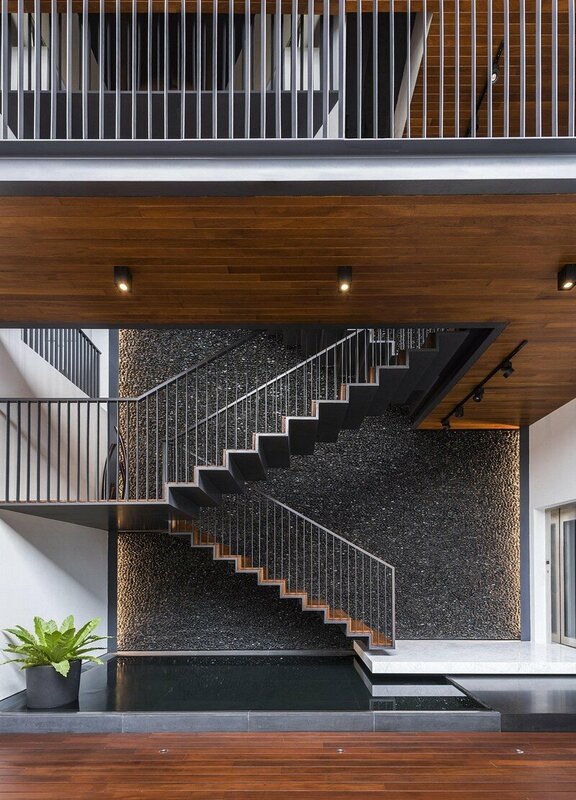 Courtyard Residence is a family home designed by Ming Architects, a Singapore based design architect firm. 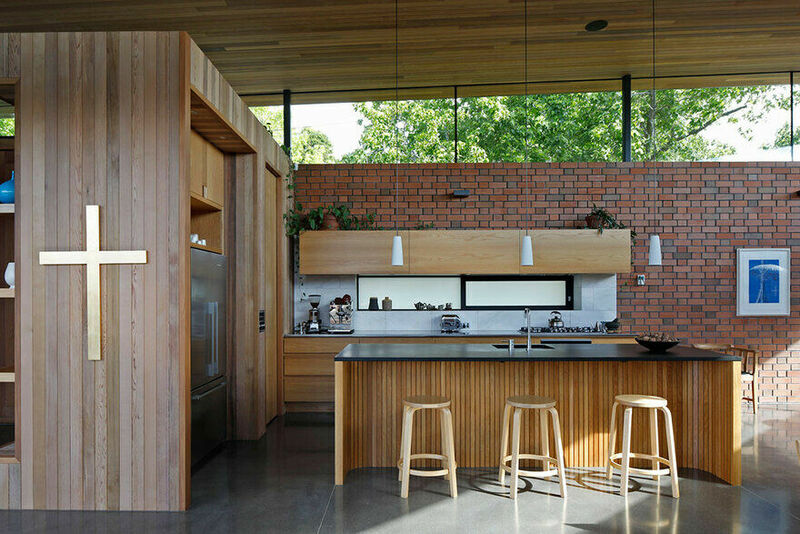 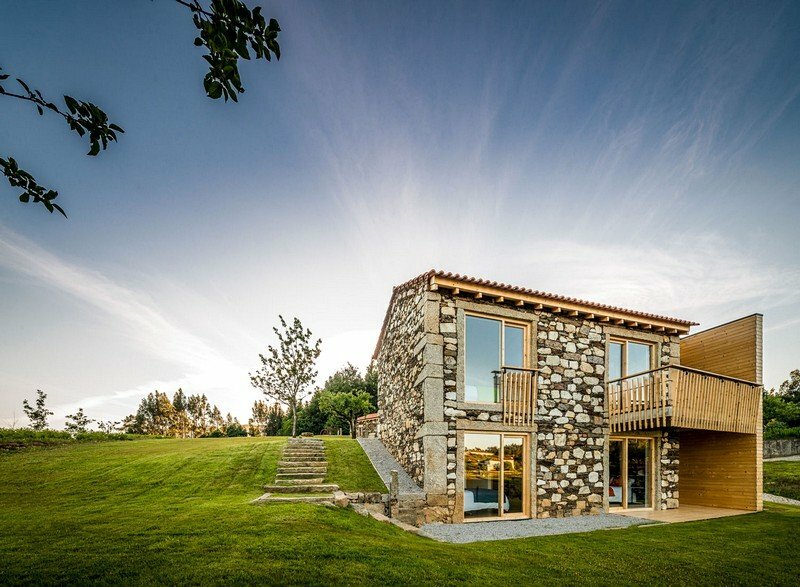 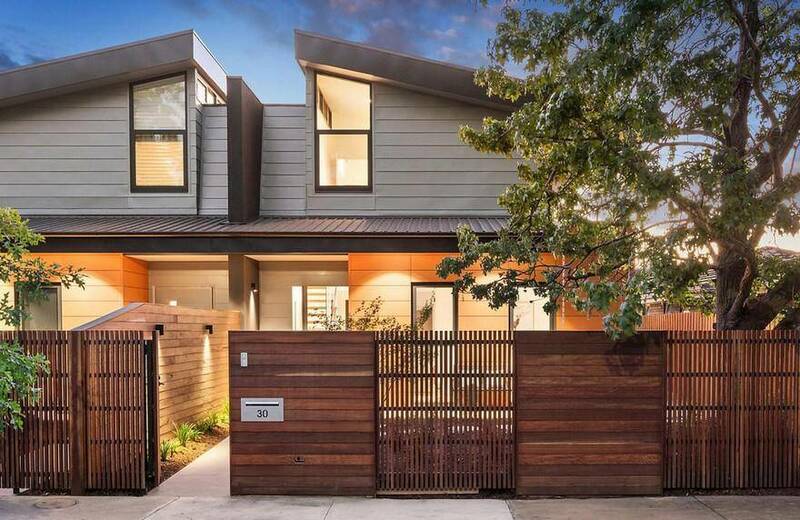 From the architect: A 7m high double volume courtyard is the heart of this multi-generational family home. 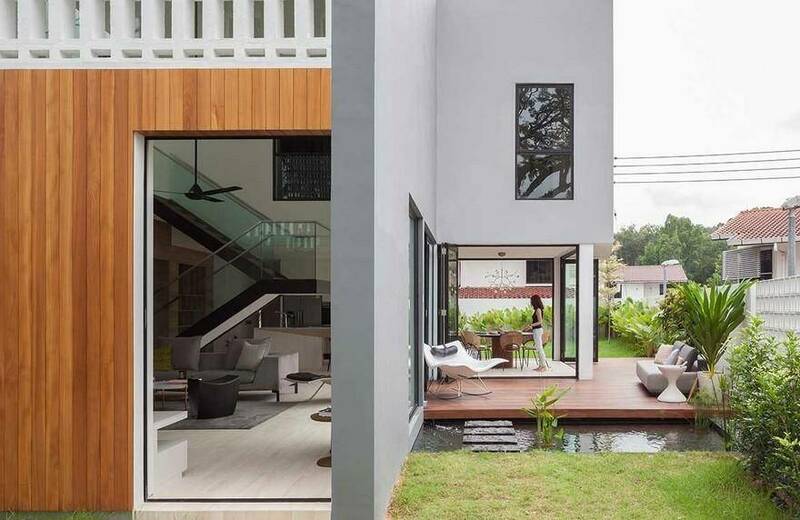 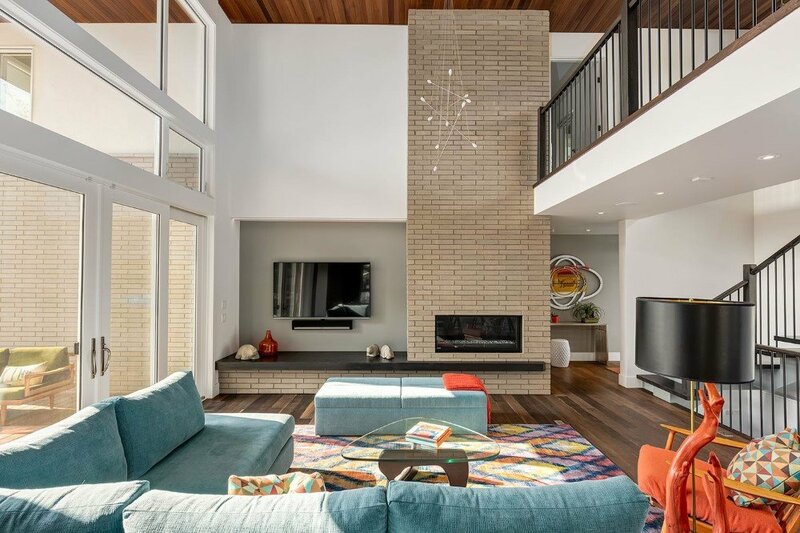 Spanning across this dramatic architectural space, a slim suspended bridge connects the front and rear wings of the house, which the parents and their children’s families occupy.